Number of tourists visiting the Baltic States has been increasing for several years. However this growth often is not felt in border regions. The reason is distance from the the country centres and lower investment in regions. The project will aim to increase the number of overnight stays of incoming tourists in the project partners’ territories: Kuldīga, Kurzeme, Saldus, Skrunda, Mažeikiai, Akmenė. The Venta River connects all partner territories and it is one of the most diverse attraction in the region. The project partners will cooperate in various activities that will make Venta River more attractive for tourists and increase awareness of the project partners’ regions. During the project, the partners will set up stopping points near natural and cultural heritage sites located on the Venta River. More than 10 stopping points near the Venta river will be created Infrastructure for recreation will be set up and signs for attractions will be placed. Project website, mobile application, regional newsletters, info tours and advertising campaigns are planned. 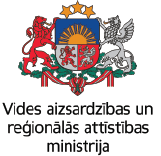 Address: Ventos g. 30A, Venta, Akmenės r.
Saldus municipal agency "Saldus Tourism Information, culture and sport center"